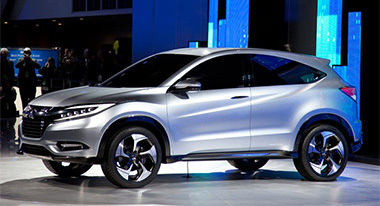 An all-new Honda “Urban SUV Concept” vehicle made its world debut today at the 2013 North American International Auto Show (NAIAS) in Detroit. The dynamic and youthful concept hints at the styling direction of an all-new small SUV slated to launch in Japan by the end of 2013, followed by the U.S. market in 2014. The Urban SUV Concept is intended to provide the basis for a fun-to-drive and fuel-efficient small SUV with aspirational design, flexible packaging and next-generation connectivity targeting active lifestyle customers. The concept showcases clean and sophisticated styling, dynamic character lines and a strong stance, with hidden rear door handles giving the SUV a coupe-like presence. Measuring 169.3 inches long, the Urban SUV Concept is nine inches shorter than the Honda CR-V, making it the ideal size for navigating both crowded city streets and open mountain roads. Snow is just the start! Winter Tires provide enhanced control in dry, wet, freezing rain, ice and snow conditions, delivering 25-50% more traction then All Season Tires. Designed to remain pliable in temperatures below 45 degrees, Winter Tires also provide up to a 42% improvement in stopping distance, and increase traction control. Installing your Winter Tires on a dedicated set of Winter Wheels will not only prolong the looks of your summer wheels by saving them from harsh road salts and sand, they will also save you the costs associated with mounting and balancing the tires each season. In addition, both your Winter and Summer Tires will benefit from not having to endure the added fatigue of being mounted or dismounted every season. Special APR offer valid on new and unregistered 2013 Fit models to well qualified buyers on approved credit by Honda Financial Services through participating dealers. Not all buyers may qualify. Higher rates apply for buyers with lower credit ratings. Dealers set actual prices. See Ralph Honda for details. Offer ends 1/6/14. Take an additional 10% OFF any accessory item for your Honda! Wet boots. Muddy shoes. Dog hair. No problem. All Seasonal Floor Mats act as a protective layer between nature and your original carpets or check out one of our protection packages for your Honda. Packages include all season mats, cargo/trunk tray and splash guards. My name is Ben Burrell and I have been a Sales Representative with Ralph Honda since 2009. I am also a Silver-Level member of the Council of Sales Leadership, which is a Honda program that rewards Sales Representatives for their above average sales volume and customer satisfaction scores. In addition to my work achievements, I have recently completed my Bachelor’s degree from SUNY Brockport. Most importantly, I am a dedicated family man. 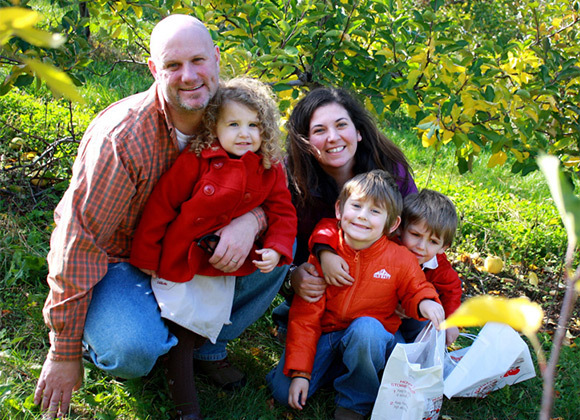 I am married to my amazing wife, Sarah and we have three beautiful children who love to keep us on our toes. I am honored to represent Honda and the Ralph dealership and truly enjoy helping the Rochester community with their auto purchasing needs. Thanks to our fellow Team Members (Ben Burrell, Bert Torres, Frank Christ, Jim Osborne, John Goree, Nathan Thompson and Osbaldo Gonzalez) who created awesome Honda pumpkin designs!!! Featured are pumpkin designs by Bert Torres, Jim Osborne and John Goree (all technicians). To see the rest of their Honda pumpkins please visit our Facebook page! This is one of my favorites for the holidays. You can use the different color M&M’s for instance red, pink and white for Valentines or the pastel M&M’s for Easter, etc. Fill the pan with bite size waffle shaped pretzels (one for each treat in a single layer on a cookie sheet lined with parchment paper), then top each pretzel with an unwrapped Hershey’s kiss or Hershey’s hug. Bake 4-6 minutes (the white chocolate will melt faster) until the chocolate feels soft when touched with a wooden spoon. Remove the cookie sheet from the oven and quickly press an M&M candy into the center of each kiss. Allow the treat to cool for a few minutes and then place them in the refrigerator for about 10 minutes to set. Looking for a gift for a Honda lover? Check out our Parts Department for a variety of Honda merchandise. We have key-chains, water bottles, t-shirts, hoodies and more!